Xiaomi's Mi Mix lineup, the one that started the bezelless craze, is about to get a new member - Mi Mix 3. A photo of the rear panel appeared, suggesting the new phablet might have a dual vertical camera setup on the back. The panel looks a lot like the back of the iPhone X but with a fingerprint scanner and a “Mi Mix designed by Xiaomi” slogan on it. 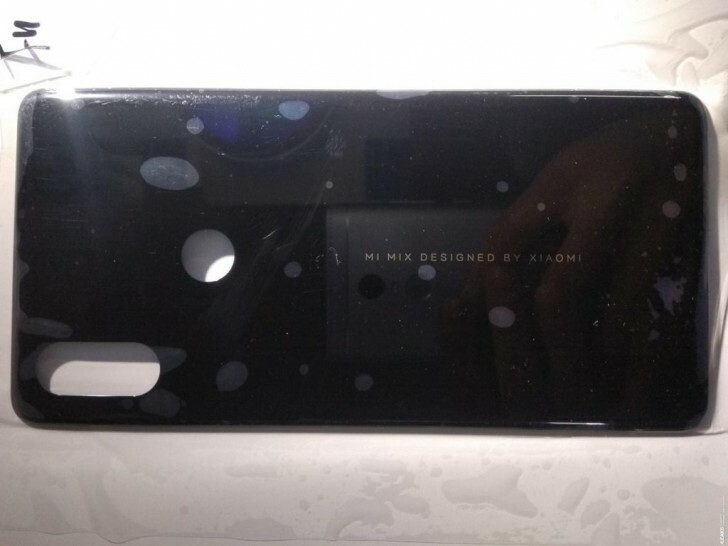 This is quite an early leak and this might be just one of series of prototypes Xiaomi is working on for the next Mi Mix flagship. The manufacturer has introduced two completely different designs of vertical camera setup: two lenses under the same piece of glass (Mi 5s Plus) and two lenses in separate holes (Mi 6). Look carefully and you could see the redmi note 4 on the phone's back.So reflective can be used as a mirror.